Playas del Coco the hearth of Guanacaste just 5 minutes from downtown, 30 minutes to the International Airport and the Capital Liberia, the next beaches are Playa Hermosa, Playa Panama y Playa Ocotal. 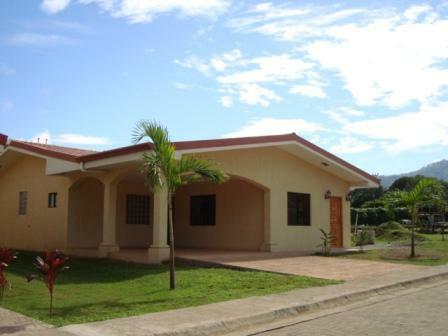 The house with 140 m� living space is very nice situated in a gated Community, 2 bedrooms, 2 baths, Air-conditioning, hot water tank, washer-dryer, stove, refrigerator, kitchen cabinets, granite counter tops, wood furniture, personal safe and ceiling fans. Ready to move in. The Community offers 24 hours security, BBQ area with Rancho, Swimming pool, playground area, garbage container, very comfortable and peaceful neighborhood. Shopping centre`s, schools, medical, supermarket, beach are very close to your home.